We at BPI Asset Management and Trust Corporation, are pleased to join hands with you, our data subjects, and with the National Privacy Commission in celebrating the Privacy Awareness Week (PAW) 2018. We vow to respect and protect your data privacy rights. The personal data you entrust us with enables us to do our jobs better, which is all about creating quality services and products that are more suitable to your needs. Your data are at the core of our business. In turn, we promise to safeguard them to ensure your digital, financial, reputational and physical safety. But we cannot do it alone. It takes a community to truly protect the privacy of data. Your conscious involvement in this matter is just as important in making this happen. To know what we do with your data, how we protect them from unauthorized use, please check the Data Privacy Statement. We would love to hear your suggestions, comments and questions relating to data privacy. 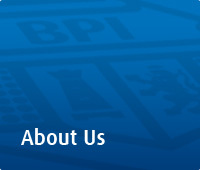 Contact our Data Protection Officer at 845-5026 or email us at bpi_asset_management@bpiamtc.com.